Welcome to the New Jessica in the Kitchen!! + 3rd Website Anniversary! Welcome to Launch Day! It would be an understatement to say that I’m excited, because I’m 100% over the moon to introduce you to the new Jessica in the Kitchen! Things look a little different, right? No, a whole lot different. The site has been completely redesigned, and even the logo got a brand new facelift. 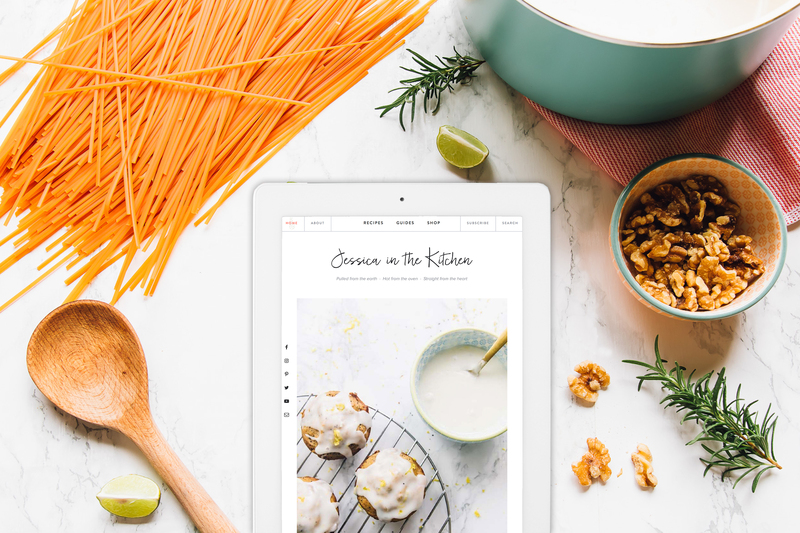 You’re going to find it 10x easier to navigate Jessica in the Kitchen now on desktop and on mobile. Let’s look at what has changed, and answer any questions you may have on what’s new and what’s to come! P.S., it is also the 3rd anniversary of Jessica in the Kitchen!! 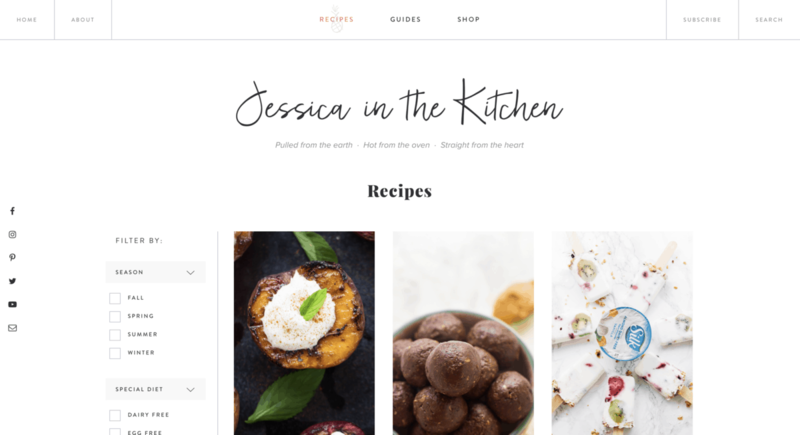 What’s new on Jessica in the Kitchen? Well, everything! Let me break it down for you, so you can go exploring next. The site has been 100% redone to be beautifully clean, sleek and simple while maintain a modern finish. While I loved my previous design, there’s no comparing to the way I feel about Jessica in the Kitchen now. I’ve always heard “your writing and recipes are so different from all the others I’ve been on” “I just feel awakened and renewed” “I can’t put my finger on it, but your recipes are just so different!” in reference to my recipes, my blog posts and my photos, so I wanted a website that reflected the way I truly felt about Jessica in the Kitchen. This site embodies the soul of Jessica in the Kitchen 100%! WHOA guys. The recipe index is basically a site on its own! 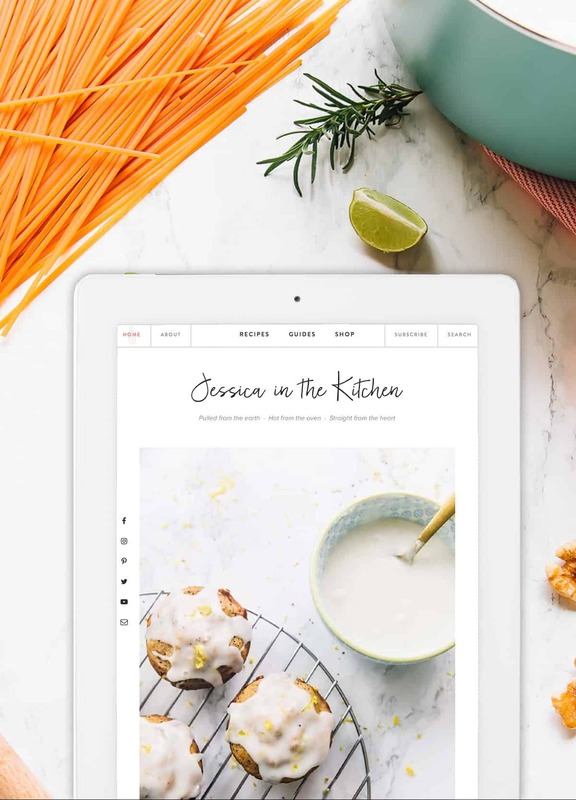 Now you can search https://jessicainthekitchen.com/recipes/ for recipes either by Season, Special Diet, Meal Type, Ingredients or ALL four! This is the recipe index I’ve always dreamed that you’d be able to search by, and I’m so glad it’s here! 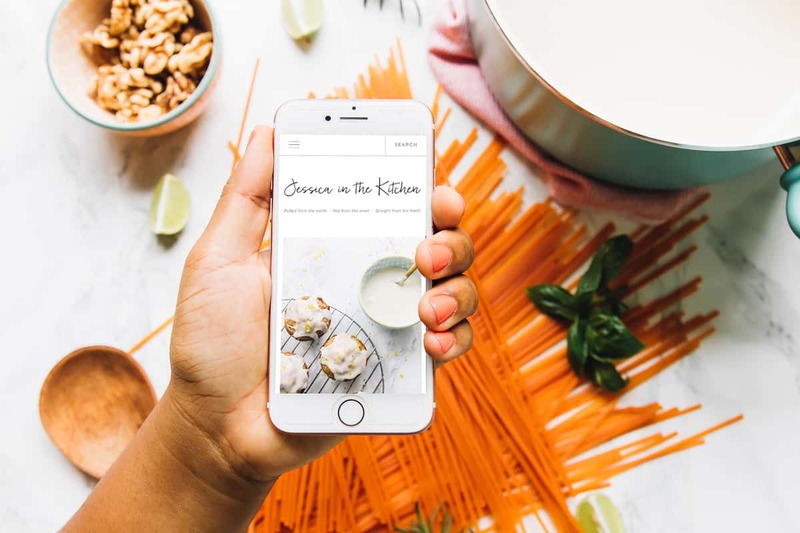 Go ahead – peek around, search for some recipes based on your personal needs, and check out the blog posts! Guides is also a new and improved separate page that you can search for by the way! 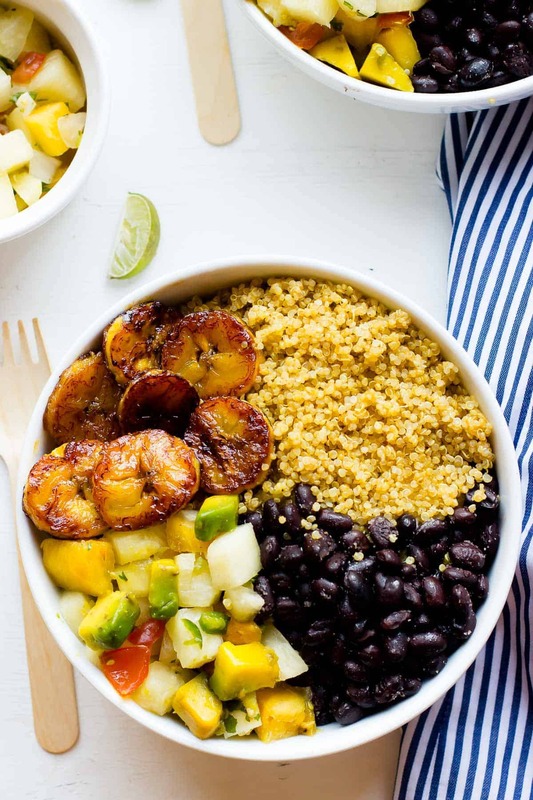 Since I’ve been doing a lot of these lately, on top of old guides, you can now search by How-To’s, Meal Prep, Seasonal Produce, and Travel Guides. Are you looking at the top? You’ve let me know for years how hard it was to search JITK, so now, your search bar is HUGE, and at the top of both the desktop AND mobile version of Jessica in the Kitchen! Isn’t it incredible? The home page now serves as a partially blog post, partially static page. It’ll feature my favourite current kitchen items, new posts, featured videos, and current in season posts and most loved posts. This is so you can see what others are loving so you can try it too! Also, the new posts on the home page have a gorgeous feature giving you a preview of the important snippets from the post. Notice something? No more sidebars! Gasp, I know right?! Surprisingly you won’t miss a thing – everything is still where you need to find it, and now the focus is on the blog post itself. The shop pages are now in dropdown menu, and will all eventually feature a personal description of why I love that specific product, and why I think it’ll work great in your kitchen too! Navigation has been significantly simplified to highlight the cream of the crop on Jessica in the Kitchen! Now you can easily access what’s important, including how to subscribe! Definitely check out the new about me page! It features me (yes, yes) plus I completely rewrote it all to share from a deeper part of me, with you! The subscribe page! So easy to do now, so you can sign up whenever you’re ready. You’ll find more secrets on the pages you venture onto, so go exploring! 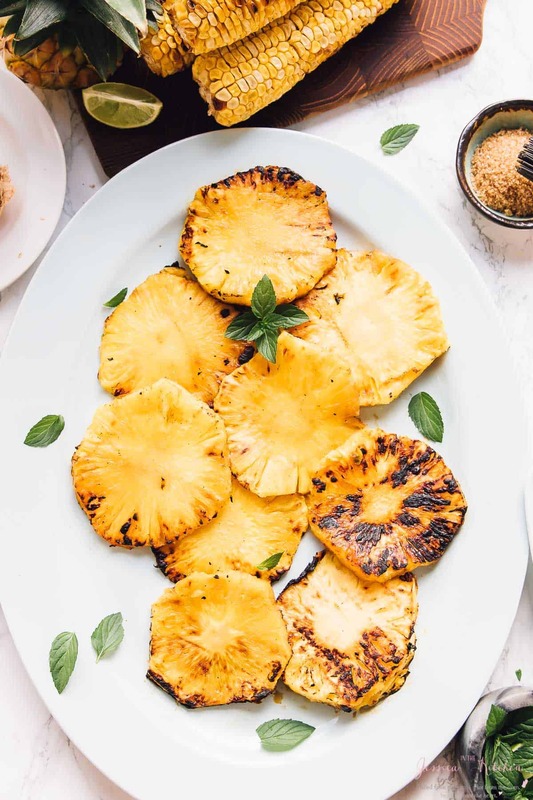 I don’t want to share it all, but did you notice that the pineapple on the menu moves when you’re on a main page? This was huge for me and I’m so happy my designer and developer were able to pull this off!! So I’ve been getting some questions today, and during the whole process so I wanted to give you my answers to these! Why did you change your logo? I have to give it to my designer Katelyn for this one (more on her brilliance a bit further down). I was adamant on keeping the logo the same/a tiny update (BUT COLOUR!! ), but the second I saw the new layout she had designed, I knew it had to go. Jessica in the Kitchen has changed so much over the last few years yet has stayed the same. 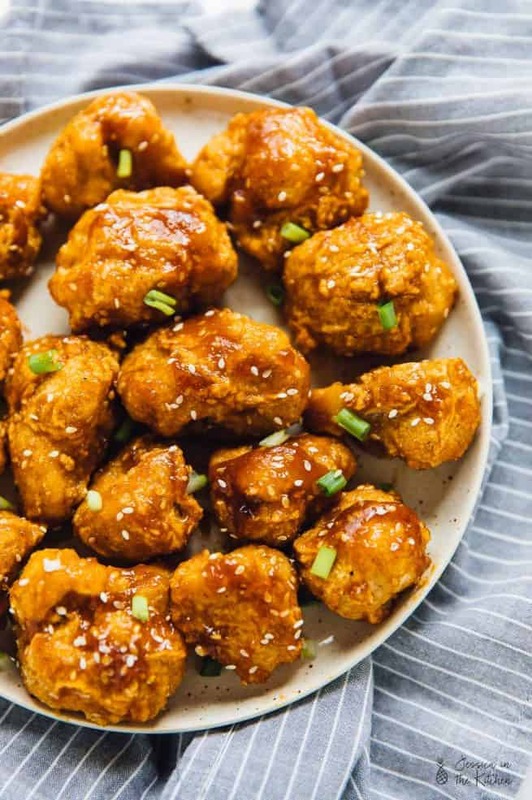 Simple, delicious and easy recipes. I wanted a logo that wasn’t as fussy and instead reflected this philosophy. Plus, it will be so much easier when we start launching actual products (you heard it first!) to brand them with this beautifully brilliant logo. Who designed and developed your site and helped you with the rebrand? Design was done by Katelyn from http://katelyncalautti.com . I am waiting for Katelyn to open up a testimonial section of her website so I can just let the world know how AMAZING she is. She was so much more than a designer – but let’s talk about that first. Katelyn re-did every single design aspect of the website and created all the gorgeous aesthetics you see here. She truly listened to every word, and always shared her professional opinion of what was best for Jessica in the Kitchen, especially moving forward. The whole point was to create a timeless website and she definitely did this. I really loved working with her. She went above and beyond the work of a designer to even give me some branding advice that has made a lot of difference. Development was done by Brandi’s team from Alchemy + Aim. Brandi and her team brought Katelyn’s design to life, and carefully crafted the website to be the powerhouse that you’re currently reading this on. They listened to my every desire (No really, everything) and got it all done. I love the fact that everything is SO customised to me, and that this website is truly mine. I can’t get over some of these insanely gorgeous custom features, friends! It was such a pleasure working with Alchemy + Aim too!! Actually, Robert who directly worked on my website is Jamaican, also living in Jamaica! We actually went to the same high school, just a few years apart. Crazy, right? So not only is this website beautifully designed and developed, it’s loaded with lots of country pride too! So what will you be doing now? The very same thing! The same recipes, advice, guides, and tips and tricks. A few of you expressed this concern but the same great content is still coming your way. Only this time it is distraction free and you can search and find it much easier! What projects are coming next? Ebook – coming your way soon, read more about it here! YouTube – If I say it, it’ll happen right?? No really haha, I am getting back onto Youtube! If you’re a *long* time follower then you know I used to do so many more Youtube videos years ago, and I really loved being in front of the camera too. You can look out for some JITK content over on Youtube! In the meantime, you can follow my page! Even more content upgrades – I’ve been trying to provide some amazing content upgrades to you so far, so you can expect even more of these! Be it shopping lists, guides, printable, they’re all coming your way. I would love to hear your thoughts on the new website!! Please leave me a comment in the new comments section below! Once again, THANK YOU for being an amazing reader!! YOU make this a reality. It’s the 3rd anniversary of Jessica in the Kitchen, and all the love and support that I’ve received has powered me to keep going. Thank you!! P.S. – see anything that isn’t working? Let me know ASAP please at ask@jessicainthekitchen.com! 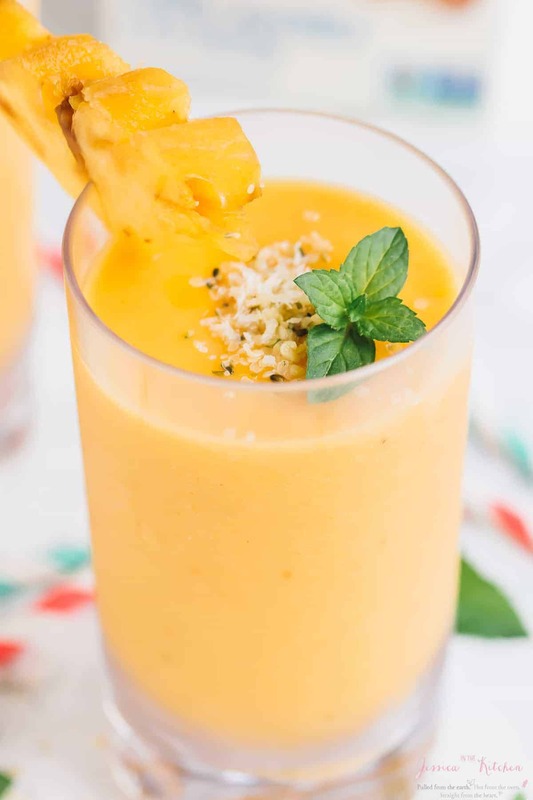 In honour of the new website, here’s a list of my favourite pineapple recipes! Congratulations! I too love the new design, Jessica. Thanks so much Angie!! Really appreciate it! What a beautiful site! Excellence in action. I love it and you must too! 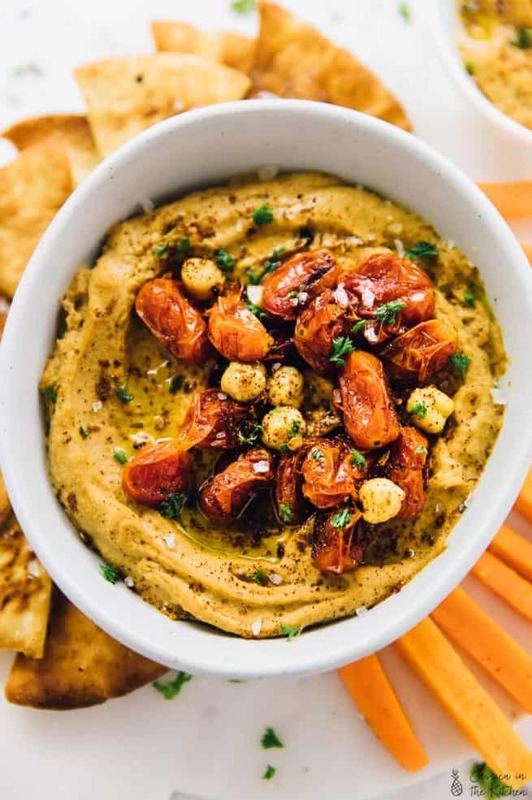 Keep those delicious recipes coming and I also love when you share beyond the cooking. Aww thanks so much Pat, I really really do!!! I share your joy, Jessica. I adore the new look. It’s classy, professional, so light and open, and makes me want to keep on strolling through it. Kudos to the design team. HUGE Congrats to you! Wishing you and your business an even brighter future ahead. Aww thanks so much Nadine!! That means so much and thanks for the best wishes too! Doesn’t it make her photos look amazing!! When Jessica came to me for the re-design I was like yes girl you need a new blog design but only to show off your AMAZING PHOTOGRAPHY AND TALENTS!!! Ugh they are just so gorgeous. Aww Katelyn!! You’re the very best designer in the WORLD!! <3 <3 <3 Thank you for the stunning site! Aww thanks so much Julie!!! That means a lot!! It’s so pretty and sleek! I love it! Hooray for 3 years! Looks amaze! We love Katelyn and A&A! Thanks so much Lee!! Yes Katelyn and A&A are amazing!! The redesign is absolutely gorgeous and is super clean. I’m excited to see all the improvements in the year ahead! Go Jess Go! Job well done!! The new site is gorgeous and easy to navigate. JITK is the first food blog I visit everyday. You’ve done a fabulous job. Hey Mandy! Aww I’m so flattered to hear that!! Thank you so very much!! I love your new website, Jessica. So easy to navigate and still with all your fabulous recipes. Aww thank you so much Llona, really appreciate that!! Perfect – what wonderful changes! Congratulations on these improvements. Love your recipes!! Hey Amy, Aww thank you so very much and so glad you’re enjoying the recipes!! I love love love it! Congrats Jessica! I just launched my new site design as well, would love to know your thoughts on it! Aww thank you so much!! I will def check it out!! Many congratulations on the new website and the 3 year blogiversary Jessica. The new website looks beyond awesome, really makes your photos stand out and is easier to navigate too. I have one comment though – as I am typing this comment, the font size is looking very small, I am straining a bit to read what I wrote (I am using windows 10, google chrome). Otherwise it is all pure awesomeness. Aww thanks so very much Pooja!! I really appreciate your comment!! Sorry to hear re the font size! I brought it up with my dev team but it seems it’s not necessarily the website, but it might be the way the browser is viewing it. I think if you tab in once to zoom on the browser, it will definitely re-adjust the font size to be larger without affecting the layout of the site. I really hope that helps! Congratulations on your new website. It is informative and lovely. Easy to follow. Thanks so much Nancy, so happy to hear!! Aww thanks so much! I’ll definitely look into it. The thing is I get tons of complaints that I’m wasting people’s ink, so opted to have it without the printout for that reason. However, if I can find an option that allows you to choose I’ll def try and incorporate it! AHHH OMG IT LOOKS PHENOMENAL! Congrats, girl!